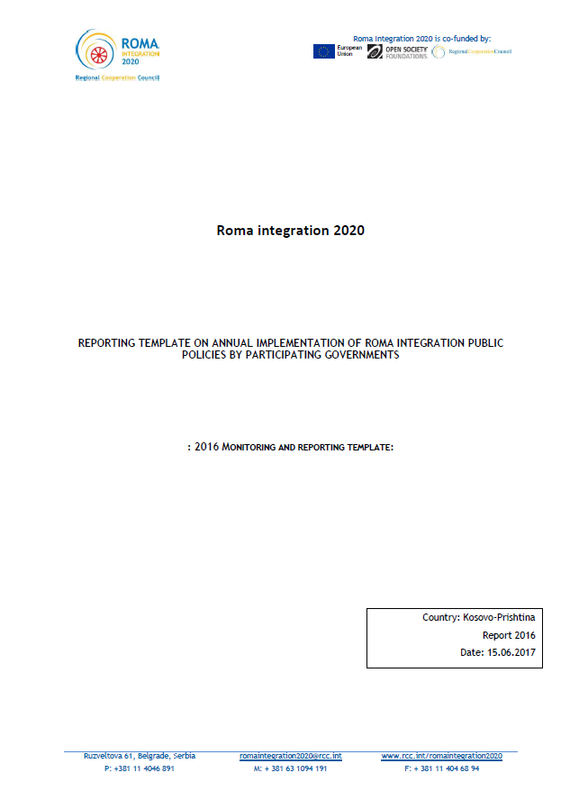 Roma Integration 2020 participating economies are required to regularly report on the progress and achievements of their Roma integration policies. 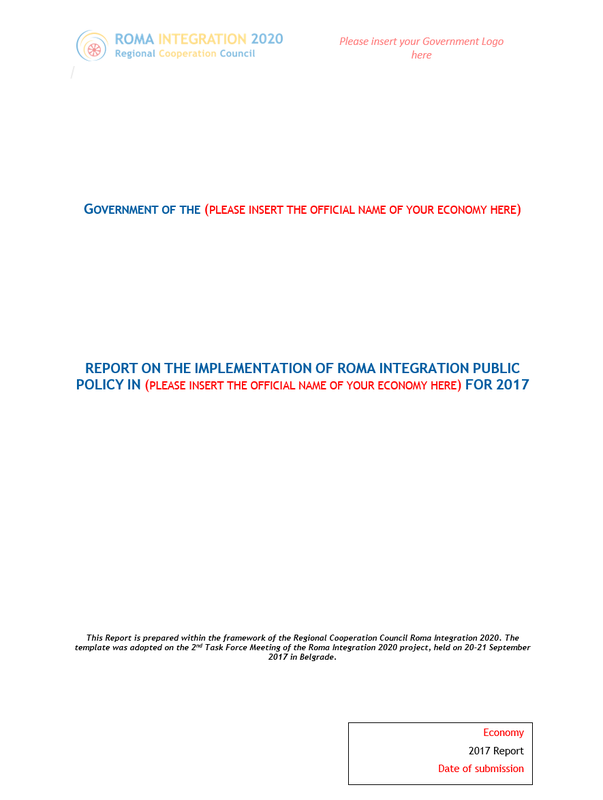 Reports are annually submitted to the Action Team and a regional compilation of reports is published. The reporting is aligned with the European Union reporting on Roma integration and is used within the EU accession progress reporting. Reporting standards are regionally agreed and participating economies use the same template. The template may be used by the civil society and other interested parties. 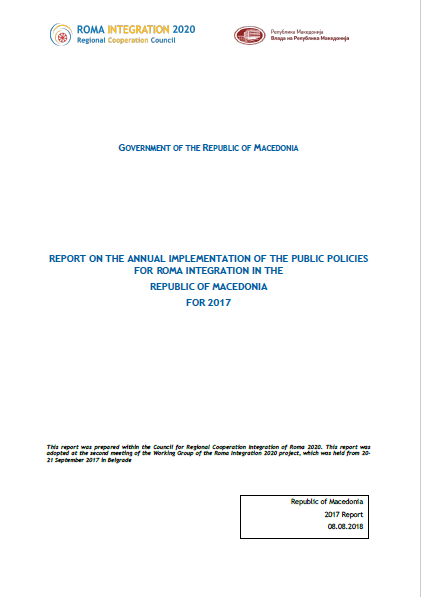 Annual reports are used to debate relevant issues and possible policy adjustments. 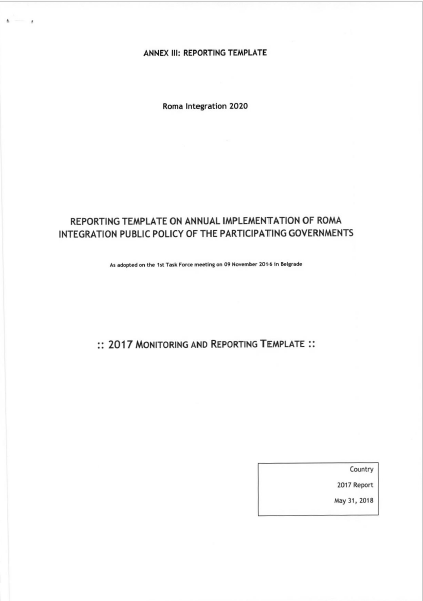 Using the regionally adopted methodology for monitoring and reporting under the Roma Integration 2020 project, Turkey published its Roma integration report for 2017. 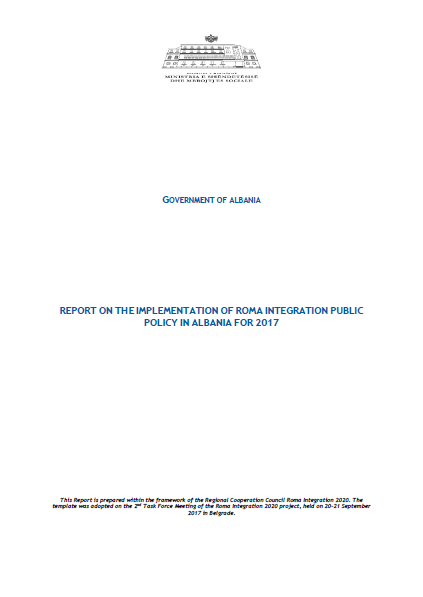 Using the regionally adopted methodology for monitoring and reporting under the Roma Integration 2020 project, Albania published its Roma integration report for 2017. Using the regionally adopted methodology for monitoring and reporting under the Roma Integration 2020 project, Bosnia and Herzegovina published its Roma integration report for 2017. 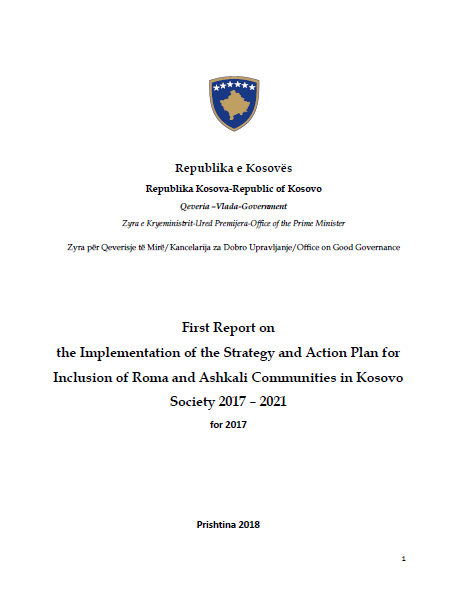 Using the regionally adopted methodology for monitoring and reporting under the Roma Integration 2020 project, Kosovo* published its Roma integration report for 2017. 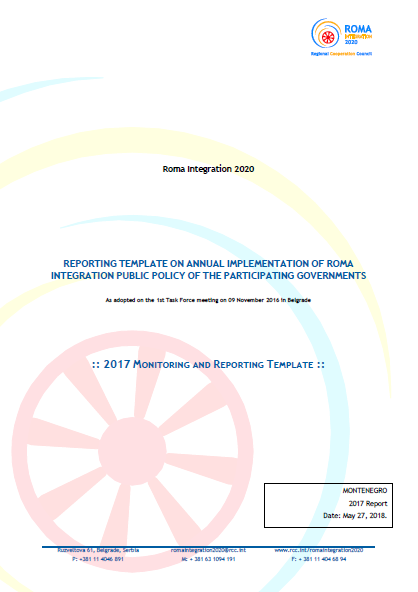 Using the regionally adopted methodology for monitoring and reporting under the Roma Integration 2020 project, The Former Yugoslav Republic of Macedonia published its Roma integration report for 2017. 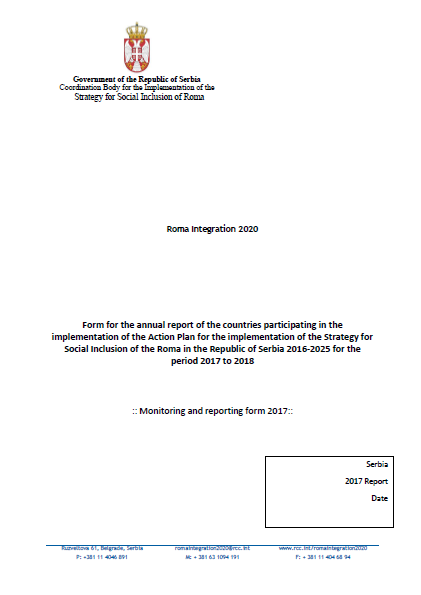 Using the regionally adopted methodology for monitoring and reporting under the Roma Integration 2020 project, Montenegro published its Roma integration report for 2017. Using the regionally adopted methodology for monitoring and reporting under the Roma Integration 2020 project, Serbia published its Roma integration report for 2017. At the 2nd Task Force Meeting of the Roma Integration 2020 project, held on 20-21 September 2017 in Belgrade, its members, consisted of National Roma Contact Points from the participating economies, two civil society representatives from the region, and EC, OSF and RCC representatives, adopted template for preparation of the Report on Implementation of the Roma Integration Public Policy for 2017. 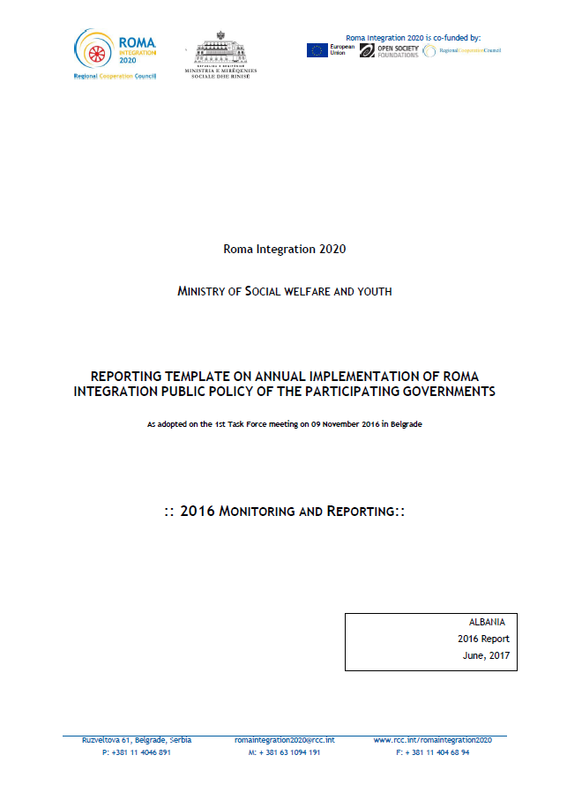 Using the regionally adopted methodology for monitoring and reporting under the Roma Integration 2020 project, The Former Yugoslav Republic of Macedonia published its Roma integration report for 2016. 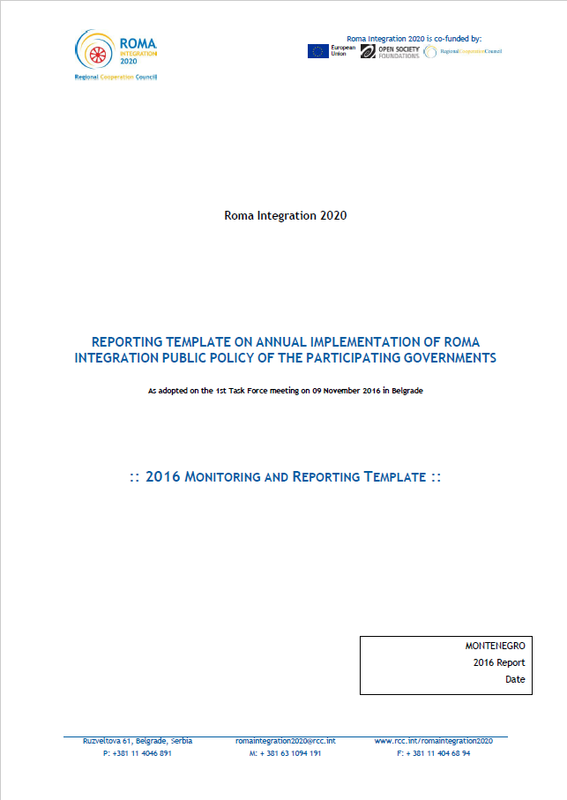 Using the regionally adopted methodology for monitoring and reporting under the Roma Integration 2020 project, Montenegro published its Roma integration report for 2016. 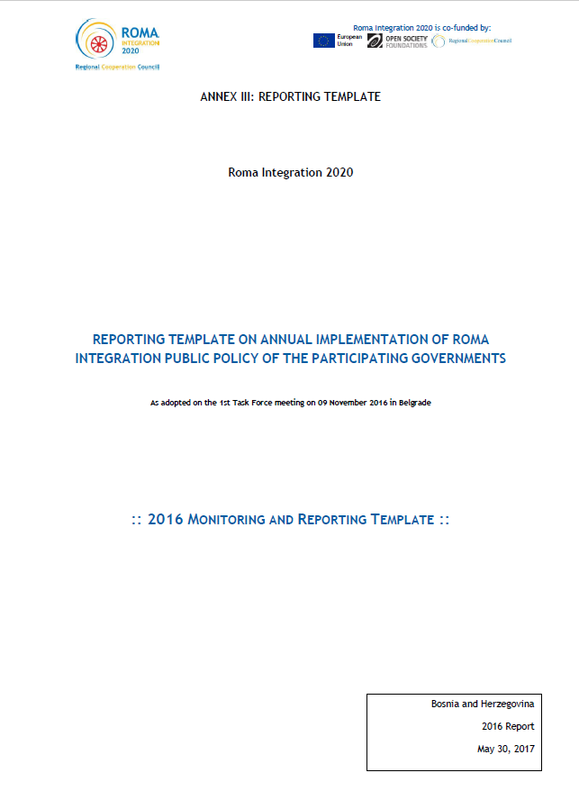 Using the regionally adopted methodology for monitoring and reporting under the Roma Integration 2020 project, Albania published its Roma integration report for 2016. 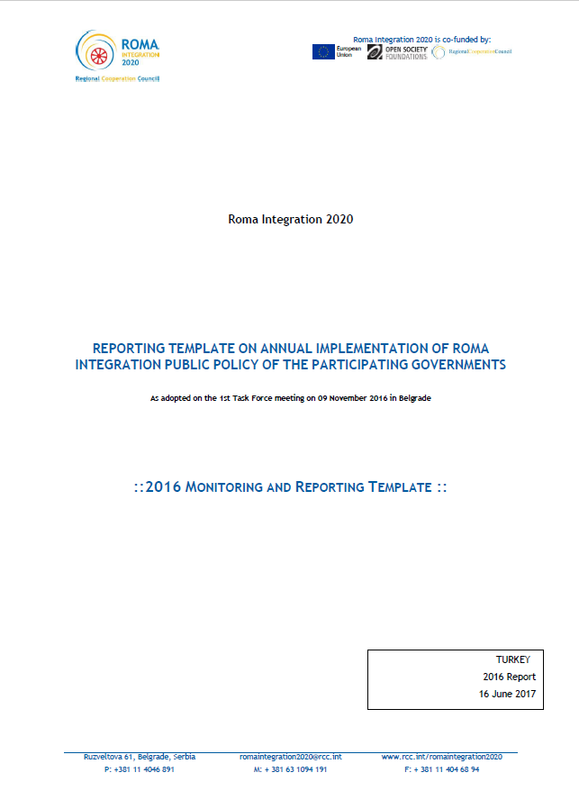 Using the regionally adopted methodology for monitoring and reporting under the Roma Integration 2020 project, Bosnia and Herzegovina published its Roma integration report for 2016. 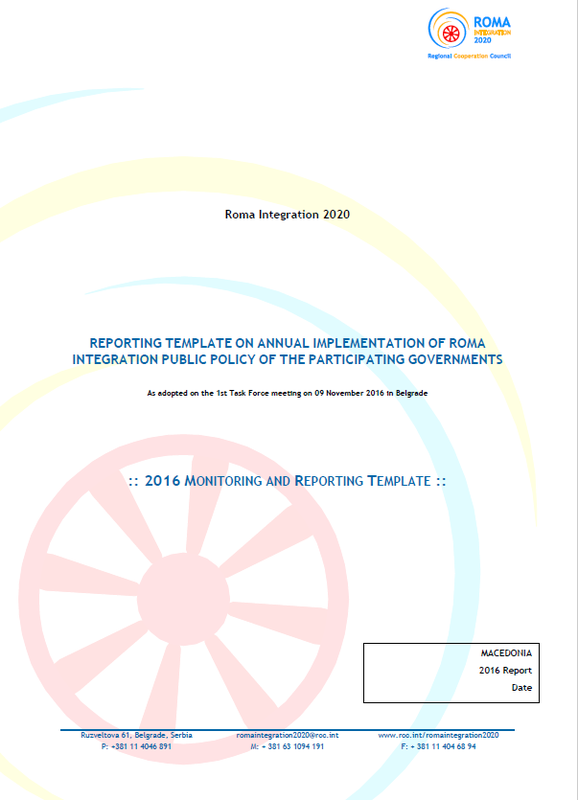 Using the regionally adopted methodology for monitoring and reporting under the Roma Integration 2020 project, Turkey published its Roma integration report for 2016. 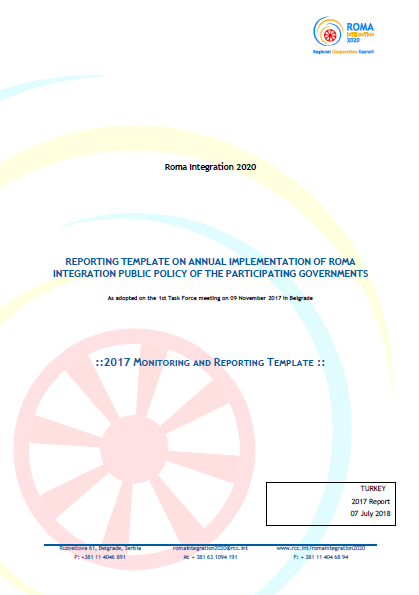 Using the regionally adopted methodology for monitoring and reporting under the Roma Integration 2020 project, Kosovo* published its Roma integration report for 2016. 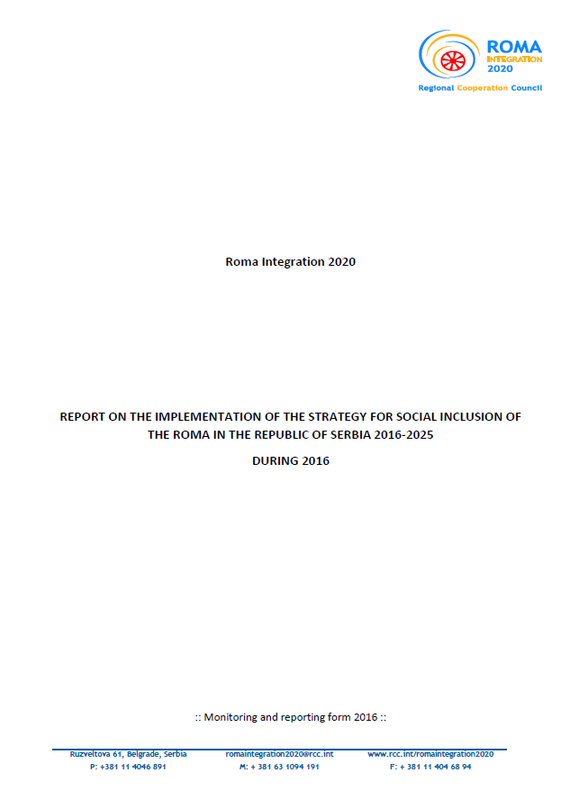 Using the regionally adopted methodology for monitoring and reporting under the Roma Integration 2020 project, Serbia published its Roma integration report for 2016. At the first Roma Integration 2020 Task Force meeting, its members, consisted of National Roma Contact Points from the participating economies, two civil society representatives from the region, and EC, OSF and RCC representatives, adopted standards for regional monitoring and reporting on their Roma integration policies. The monitoring and reporting template consists of four main parts: institutional structure, progress by priority areas, overview of annual budget and quantitative assessment of impact. Besides in English, the template can be downloaded in all local languages.